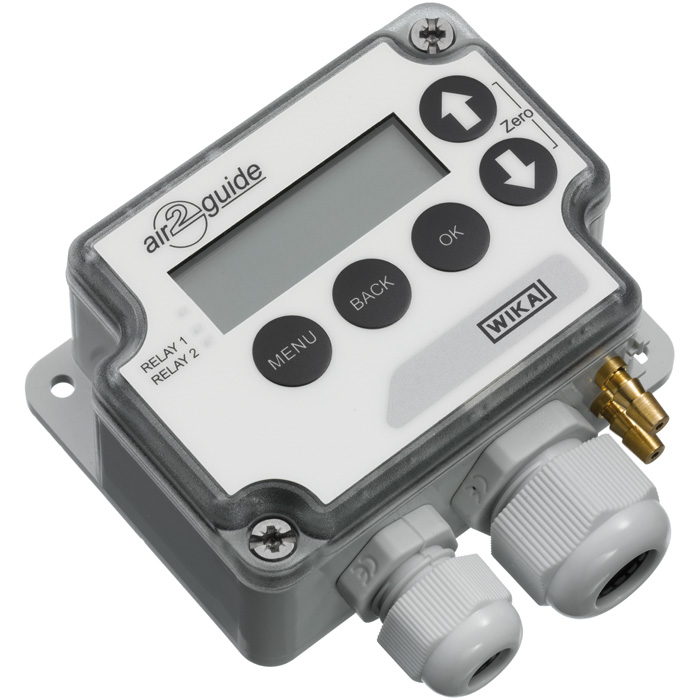 The model A2G-45 differential pressure transducer combines a local differential pressure display, measured value transmission and differential pressure switching in a single instrument and is therefore mainly used in the ventilation and air-conditioning industry. A second switch relay and/or an automatic zero point setting are optionally available. The compact and robust measuring instrument impresses with its intuitive operation. The setting of different switch points for rising and falling differential pressure make the A2G-45 very flexible and adaptable in use. Through the use of the model A2G-45 differential pressure transducer the number of conventional measuring instruments otherwise used can be reduced considerably.